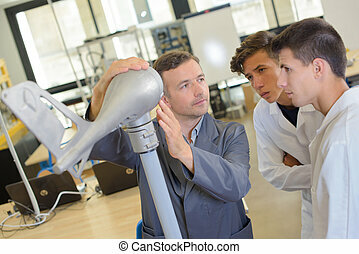 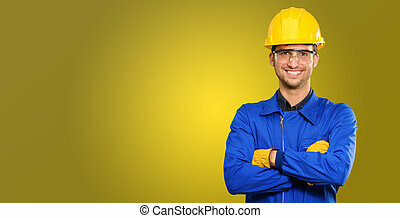 Engineer pride. 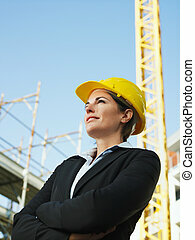 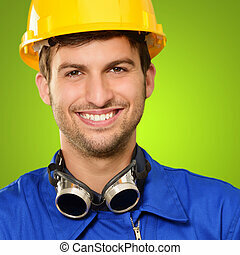 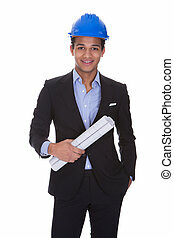 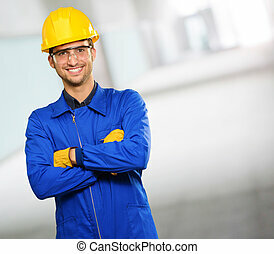 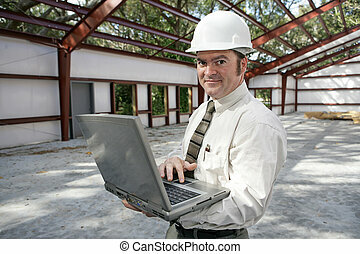 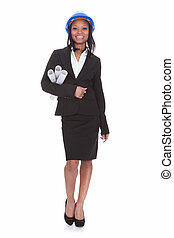 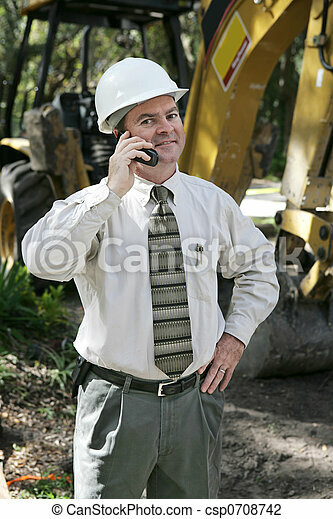 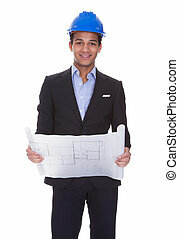 A proud, confident engineer on the construction site, talking on the telephone. 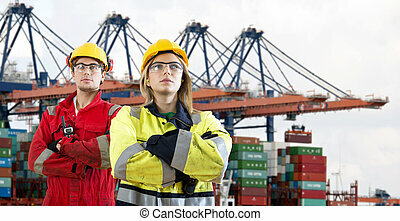 Two proud looking dockers, wearing safety attire with their arms crossed standing in front of a huge container ship being unloaded in an industrial harbour. 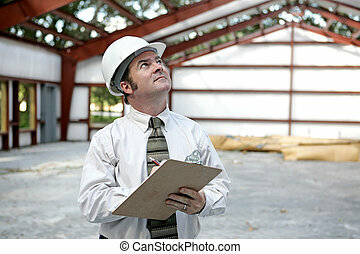 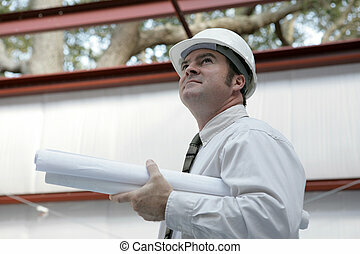 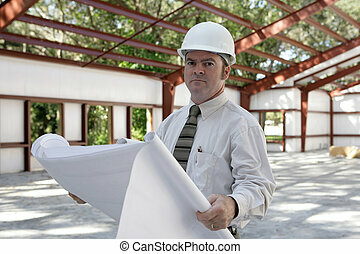 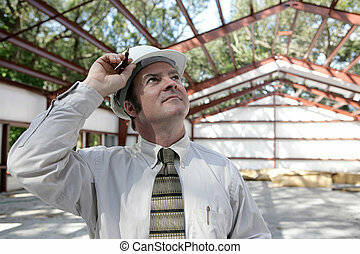 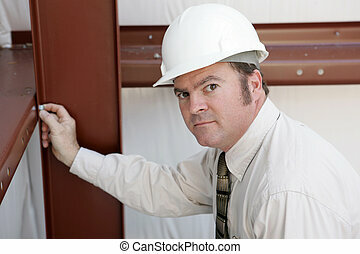 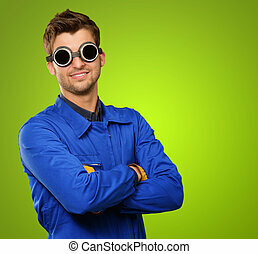 A vertical view of a construction inspector looking at a steel frame building. 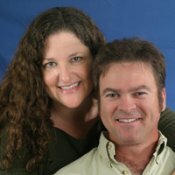 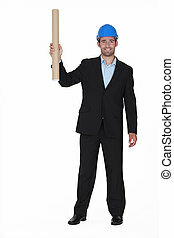 Room for text. 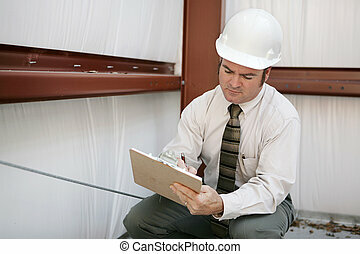 A building inspector crouching down to get a better look at the building. 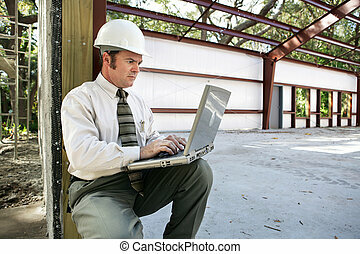 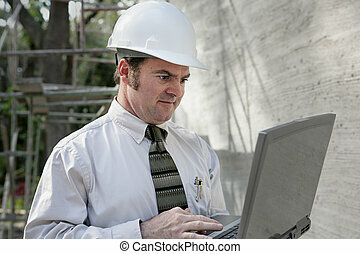 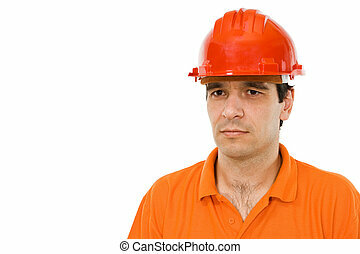 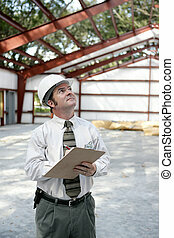 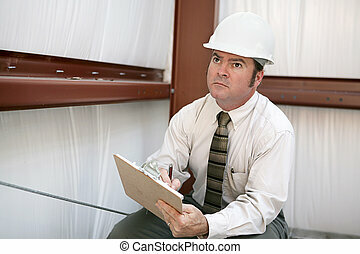 An unhappy looking construction inspector marking his checklist on a construction site. 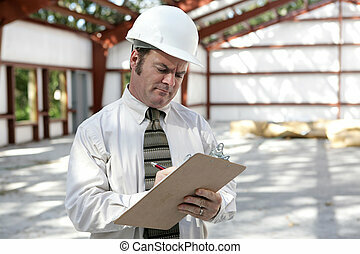 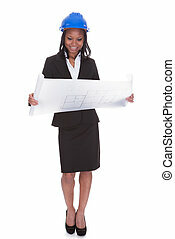 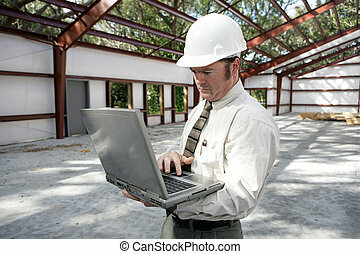 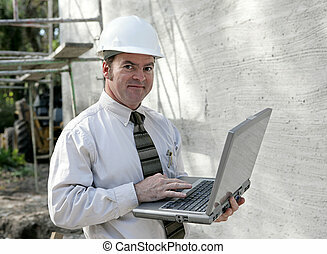 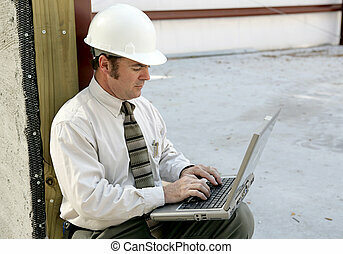 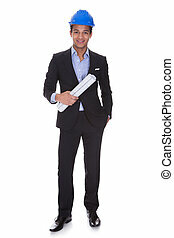 A construction inspector on a jobsite making notations on his clipboard.